Article You Got Science in My Fantasy! The new Dungeon Master’s Guide is full of options for fifth edition Dungeons & Dragons, even going so far as to provide rules for explosives and alien tech in a D&D campaign. Sound weird? As it turns out, both those ideas have a very long history, with the idea of science fantasy in Dungeons & Dragons dating all the way back to the creation of the game. To see that science fantasy was in the DNA of D&D from the start, you need look no further than the famous “Appendix N” from the original Dungeon Masters Guide from 1979. Appendix N’s inspirational reading lists pure fantasy series such as Robert E. Howard’s Conan books, Fritz Leiber’s tales of Fafhrd and the Gray Mouser, and Michael Moorcock’s Elric novels. But it also contains science fantasy offerings like Edgar Rice Burroughs’ Mars books, Philip José Farmer’s World of Tiers series, and Sterling Lanier’s Hiero’s Journey—a post-apocalyptic novel full of mutated animals and psychic powers! Science fantasy was an idea that was prevalent in the 1970s, a time when genre boundaries weren’t as strict as they are today. As a result, you could find science fantasy throughout the early RPG scene. Bob Bledsaw’s Wilderlands RPG (from 1976) was full of technological artifacts, including a crashed MiG fighter jet. Dave Hargrave’s Arduin Grimoires (1977) featured aliens and space monsters. However, it was D&D cocreator Dave Arneson who brought science fantasy into D&D proper. A few years later, Gary Gygax’s Advanced Dungeons & Dragons adventure Expedition to the Barrier Peaks initiated a new generation of players to the ideas of science fantasy. Gygax’s adventure was first run at the Origins II Game Fair in 1976, emphasizing the early origins of science fantasy in D&D. It then came to more widespread attention with its publication four years later. Where Arneson’s “Temple of the Frog” had lightly touched upon science fantasy, Gygax’s Expedition to the Barrier Peaks dove into the genre whole-heartedly. The entire adventure is a delve into a crashed spaceship—a craft based on the Warden from TSR’s science fantasy RPG Metamorphosis Alpha (1976). Monsters like the mind flayers became alien races, while complex charts allowed players to fiddle with future tech. After that, science fantasy quickly faded from AD&D’s adventures, though it lingered on in the Basic D&D line, which was becoming more light-hearted and experimental. Two Basic D&D adventures are of particular note. Earthshaker! (released in 1985) gave players the opportunity to delve into what was essentially a giant mecha. Later that year, Where Chaos Reigns pitted players against the futuristic oard, who had conquered the world by traveling through time. Besides having a science fantasy premise, that adventure also included futuristic technology and monsters (the latter imagined as standard D&D critters). After 1985, players would have to seek out specially designed settings for their science fantasy fix. Fortunately, there were an ever-increasing number of them. It’s not surprising that Gary Gygax and Dave Arneson were responsible for the introduction of science fantasy to D&D. 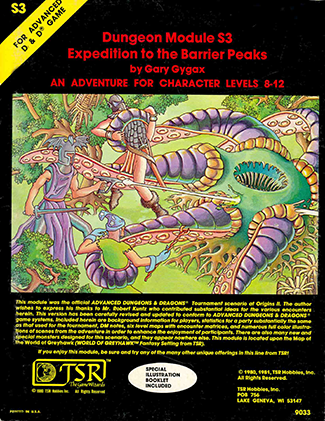 Their influenced continued into the mid 1980s, when Dave Arneson returned to TSR to publish a series of Blackmoor adventures for the Basic D&D game. Though Arneson has said that the Blackmoor setting isn’t quite as science fantasy oriented as fans might think, that impression comes from the “DA” adventures that he coauthored in the mid-1980s. These supplements included The Temple of the Frog, which was a new iteration of the classic Blackmoor dungeon that focused more than ever on its technological aspects, and City of the Gods, which detailed an entire “alien city” fallen from the sky. 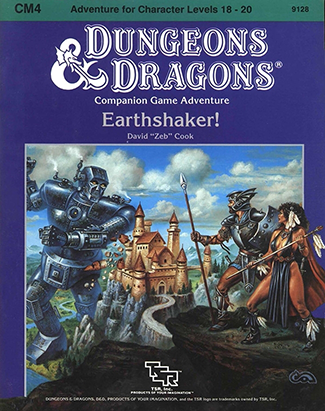 The science fantasy theming of the Basic D&D version of Blackmoor was so strong that some fans even used Arneson’s ancient kingdom as an explanation for the tech revealed in Earthshaker! a few years earlier. The 1980s also saw the advent of a new proponent of science fantasy at TSR: Jeff Grubb. His earliest science fantasy contributions were to the Dragonlance world of Krynn, where he introduced the “tinker gnomes” he describes as the “technologists of Krynn.” Gnomes were mentioned here and there in the early Dragonlance adventures, but they first came to center stage in the brief visit to Mount Nevermind that occurs in Dragons of War. They’ve grown in popularity ever since. The tinker gnomes reappeared in 1989 in Spelljammer, which was D&D’s strongest science fantasy setting ever. 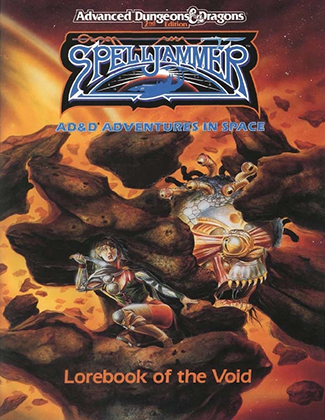 Much like the gnomes, the overall Spelljammer setting has a very steampunk feel to it, even though the genre was a few years away from being well recognized. It’s Jules-Verne-meets-D&D. Spaceships travel through the void, and standard monsters such as mind flayers, beholders, and lizard men have once more become alien races. The 1990s was the age of D&D campaign settings. Two of the best known of those settings leaned toward science fantasy themes, though they were more distant from the genre than Spelljammer. The Dark Sun campaign setting (1991) told the story of a dying world, built on the planetary romance genre created by Edgar Rice Burroughs, Leigh Brackett, and others. Though it was more swords than spaceships, Dark Sun was just a small step from a full-blown science fantasy setting. The Planescape campaign setting (1994) was essentially a new way to look at the Outer Planes. However, it focused on a much more urban setting than was typical for D&D in its exploration of Sigil, the City of Doors. Planescape also adopted a “cant” language that mixed Dickensian and Elizabethan slang. Even without spaceships or ray guns, the setting felt very much like a modern fantasy world. It took until 2004, well into the third edition of D&D, for another setting to appear that was fully steeped in science fantasy. Keith Baker’s Eberron setting was chosen as the winner of a campaign setting search organized by Wizards of the Coast. It proved that science fantasy ideas were still a valuable tool for D&D, with its inclusion of lightning-driven trains, elemental vessels, living constructs called warforged, and more—all tightly integrated into the world’s design. 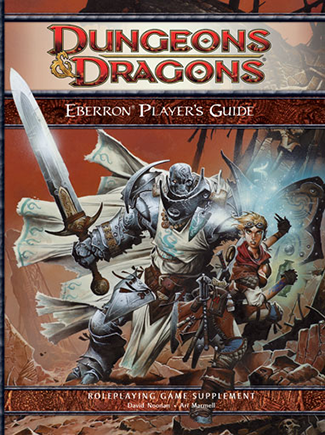 Of all of D&D’s science fantasy settings, Eberron has been the best supported in recent years, with core books for both third edition (Eberron Campaign Setting) and fourth edition (Eberron Campaign Guide). As well, the setting featured numerous supplements and even a computer game—the original incarnation of Atari’s Dungeons & Dragons Online in 2006. The incursions of the science fantasy genre into Dungeons & Dragons have introduced plenty of ray guns and other tech weapons. Expedition to the Barrier Peaks alone included blasters, lasers, needlers, paralysis pistols, and grenades. More commonly, D&D’s designers have opted not to go all the way to the future for their tech, instead settling on more primitive guns—but those can still do plenty to shake up a fantasy roleplaying game. 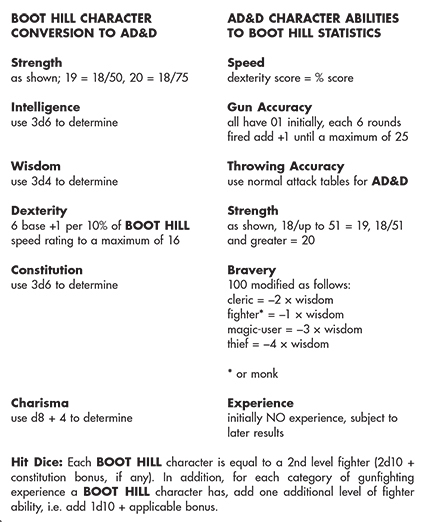 D&D’s earliest GMs were encouraged to bring guns into their fantasy worlds in the AD&D Dungeon Masters Guide, which included a short section called “Sixguns & Sorcery.” This provided not only rules for converting between AD&D and Boot Hill (TSR’s Wild West roleplaying game, first published in 1975), but it also statted up several different guns. Derringers did 1d4 damage, while other handguns did 1d8 damage. Dynamite did a whopping 4d6 damage—or 6d6 if the DM allowed a saving throw! Firearms more fully entered the D&D game by way of the Forgotten Realms campaign setting. As a result of the Time of Troubles, Gond the Wondermaker gave the Lantanese the secret of making accurate and safe “smokepowder” guns. The Forgotten Realms Adventures supplement introduced a number of new black powder guns, including the blunderbuss (1d4 damage), the musket (1d12 damage), and the cannon-like bombard (an incredible 2d20 damage). However, it was a one-off setting that made the most extensive use ever of guns in D&D. The campaign sourcebook A Mighty Fortress, released in 1992, was a historical campaign set in the Elizabethan Age of 16th- and 17th-century Europe. Its weaponry was a close match for the Realms’ smokepowder weaponry, but guns were much more ubiquitous in the historical setting, creating a very different dynamic. TSR moved even further forward in time with Masque of the Red Death and Other Tales (1994), a Ravenloft supplement set in the 1890s of “Gothic Earth.” That book included a couple of pages of firearms noted as “quite accurate and reasonably safe.” That accuracy is underlined by the weapons’ stopping power, with derringers dealing 1d6 damage, larger pistols averaging 2d6 damage, and shotguns dealing 3d6 damage! Campaign settings such as the Forgotten Realms, Eberron, and Dark Sun have remained important in recent years. However, the fifth edition of D&D has moved technology back into the core rules—albeit as a DM’s option. Pistols (1d10 piercing damage), shotguns (2d8 piercing damage), and even antimatter rifles (6d8 necrotic damage) appear in the Dungeon Master’s Guide and are all now an official part of the D&D game. However, like so much in fifth edition, this new development is really more a matter of the game going back to its basics—because science fantasy has been at the heart of D&D since the very beginning.